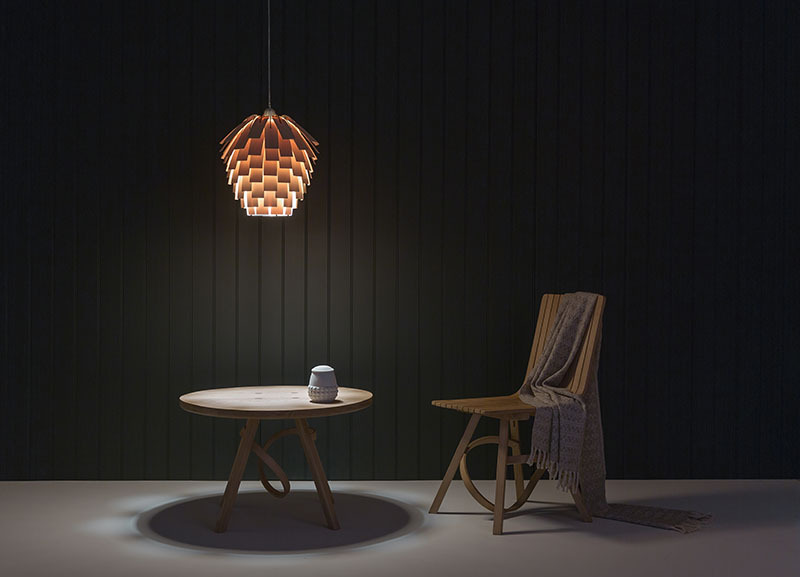 British designer-maker Tom Raffield, has created the Scots Light, a lamp made from individual cut wood veneers, that looks like a pine cone. 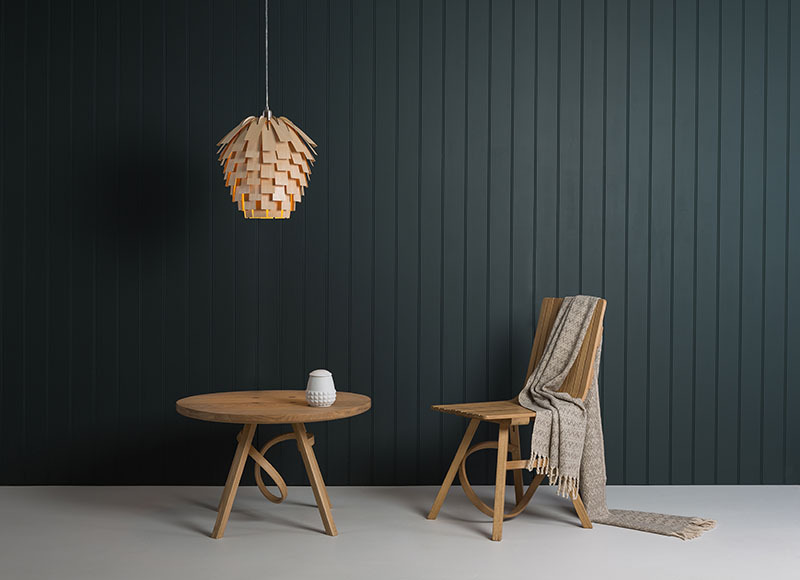 Inspired by the trees in our very own woodland the Scots Light lampshade is hand made from individual cut leaves of wood. These steam bent strips are held by a birch frame, creating an organic shape that is reminiscent of the fallen pine cones found in autumn. The attractive layers of ash disguise the light’s source whilst playing with the light to cast a serene light into the room. Whilst the oak and walnut options work brilliantly as downlights for surface illumination. The original Scots Light in ash was launched last autumn. 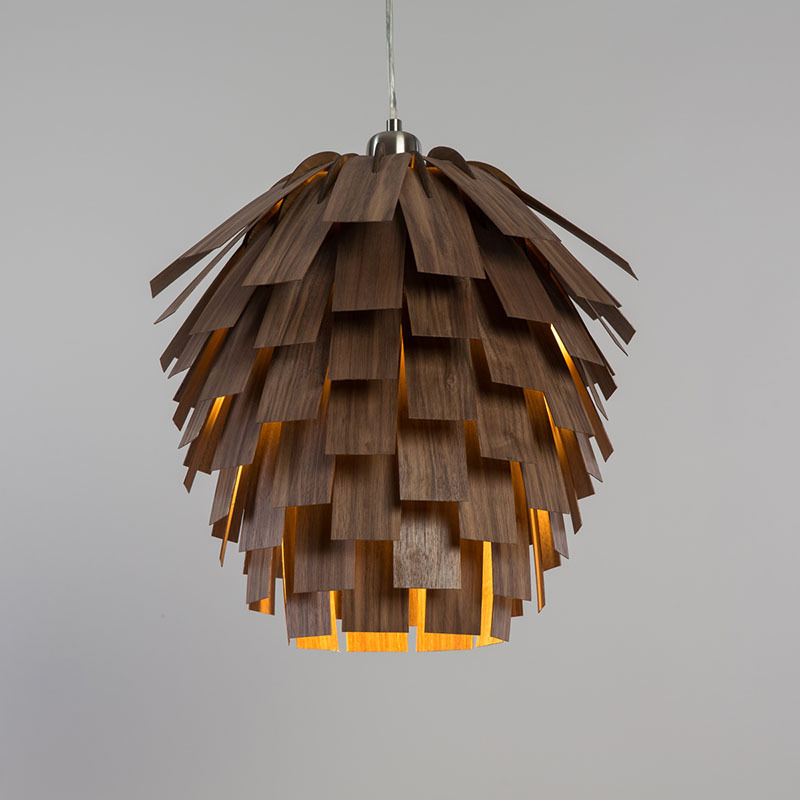 The design has been re-worked and the range now includes an oak and walnut version of the shade.